In 1964, Sun Ra asked the young tenor saxophonist Pharoah Sanders to join him, while Arkestra mainstay John Gilmore was busy working with Paul Bley, Andrew Hill, and Art Blakey. 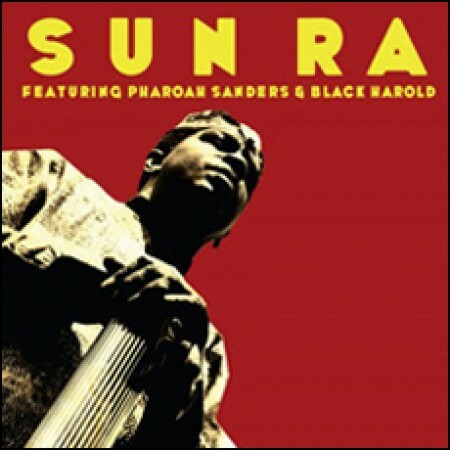 Before the recording's original release in 1976, Sun Ra stated: "It should be very interesting to the world to show what the pre-Coltrane Pharoah Sanders was like." Also appearing on "Featuring Pharoah Sanders & Black Harold" is the little-heard flautist, Black Harold (Harold Murray), who takes the lead on the track "The Voice of Pan," continuing into "Dawn over Israel." Bassist Alan Silva (ESP 1091) also does some fine bass work on the release. "Featuring Pharoah Sanders & Black Harold" is notable not only for its unique lineup, but also for the first known recording of the composition "The Shadow World," here titled "The World Shadow," which was featured on later Arkestra albums. This release contains an additional 45 minutes and 36 seconds of unreleased material.